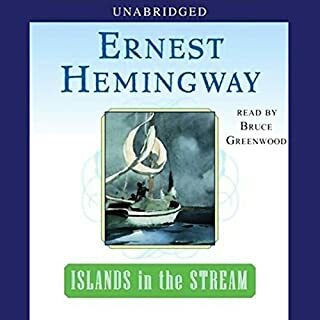 A revelatory look into the life and work of Ernest Hemingway, considered in his time to be the greatest living American novelist and short story writer, winner of the 1953 Pulitzer Prize for Fiction and the Nobel Prize in Literature in 1954. Mary Dearborn's new biography gives the richest and most nuanced portrait to date of this complex, enigmatically unique American artist. 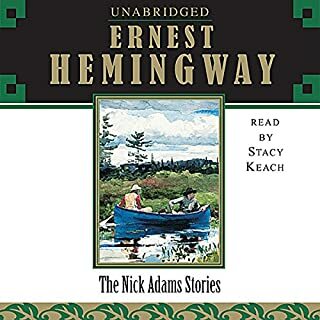 In Our Time contains several early Hemingway classics, including the famous Nick Adams stories "Indian Camp", "The Doctor and the Doctor's Wife", "The Three Day Blow", and "The Battler", and introduces listeners to the hallmarks of the Hemingway style: a lean, tough prose, enlivened by an ear for the colloquial and an eye for the realistic that suggests, through the simplest of statements, a sense of moral value and a clarity of heart. ©1953 Ernest Hemingway. 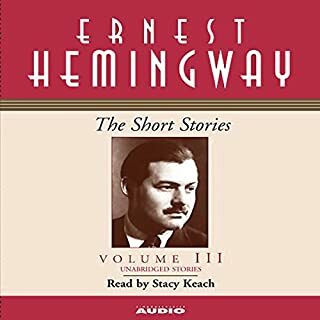 All Rights Reserved (P)2002 Simon & Schuster Inc., All Rights Reserved, AUDIOWORKS is an imprint of Simon & Schuster Audio Division, Simon & Schuster, Inc.
On Audible, you'll find Hemingway short stories volume I and II. I bought one first because it had the Francis Macomber story. While the first volume has a lot of stories, only a few are good. Volume II has fewer stories, but they are more powerful. "Big Two Hearted River," and "The Killers," are amazing. I suggest buying both volumes, but I definitely listen to Volume II more often and more thoroughly than volume I.
I won’t go into a spiel about Hemingway (though I might say a bit later). He’s a writer I’ve always enjoyed and I’ll continue to read (well listen to) until I’ve heard all I want to. 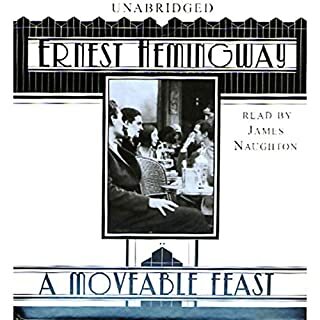 If you want to know the real Hemingway, I highly recommend you read (or listen to) A Moveable Feast. I’m lately listening to his short-stories and I must say it’s helping me write short stories myself. I will also say that I was guaranteed to listen to this because of not only Ernest but also because Stacy Keach does an incredible job with the audio. His voice is perfect and I think Hemingway himself would be happy with the emotion, nuance and emotion he puts into every story. The music for this short story collections is also excellent, beautiful, haunting, sad and yet peaceful. It makes it a classy audio book and is another reason why I’ve come to love Audible so much. While I can’t guarantee I’ll do this for every short story collection, I will give my thoughts on each story found here. I really enjoyed this one but I didn’t like the ending. I know, Hemingway was a depressed individual and a good 80% of his stories end with someone’s death but it just stung a lot here. It’s a lovely story about a boy’s love for his father, their life together in Italy and then in Paris. He describes Paris so well (I was there once) and gives you a wonderful glimpse of what life was like there in the 1920’s. The characters here are (for the most part) liable and well developed. That makes it so much harder when the father is literally trampled to death in front of his son’s eyes. I can’t imagine what that would do to a young boy and it’s the kind of thing that while I was listening I hoped it wouldn’t happen, some part of me knew that it would. Still though, a strong start to the collection. Loved this story, I usually enjoy all the ones with Nick Adams (which is a character Hemingway based on himself). This was was simple, beautiful and parts of it where still sad. 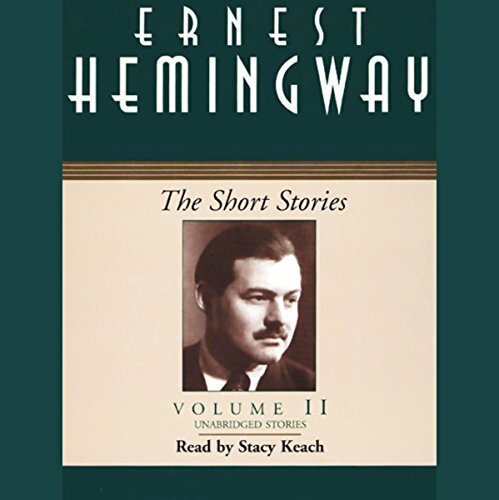 It shows what a masterful storyteller Hemingway was even early in his career. It’s just about a guy fishing but everything is described so well, you feel like you’re there and at peace. Always nice for a change to have no one die, no relationship end or anything bad happen. Didn’t care for it. I found it dragged a lot, most of the characters were unlikable, miserable people and while the bull-fighting scenes were exciting, it was so obvious what would happen in the end. Being an animal activist the descriptions bothered me, as I know this is what real bull-fighting is like (and sadly continues to be like). Also not my cup of tea (especially since I don’t even drink tea!). While the descriptions of the machines and the injuries is a little interesting I was mostly bored. This could be Nick Adams (the man isn’t named) but still, it just doesn’t do it for me. This one was ok. To be honest I never caught on what the actual operation was until I looked the story up, so I’ll leave that for you to discover. Hemingway loves to write about couples arguing and generally having relationship troubles. I didn’t like the ending much but Ernest often seems to leave someone unsaid for a lot of his stories. Excellent story, this is the first one (and possibly the only one) where Hemingway really get’s into the mindset of a killer. He also makes you really hate the two hit men, which is the sign of a good story (usually). It’s a Nick Adams one and while the ending is not happy, it’s different from what I expected so that was good. I’ll not here that Hemingway certainly uses a lot of racially offensive terms. N word, wop and others propagate his text. I can see sometimes it fits for the characters but I think even for stories written in the 20’s and 30’s it’s way too often. A good one, I always enjoy writing when it has a strong political voice (in support of freedom of course). For a story about the horrors of fascism it also has a really funny part at a whore house (which is pretending to be a cafe). Hemingway shows his talent for writing realistic and snappy dialogue. It’s great to hear stories about Italy from the 30’s, he describes a way of life that will never happen again (and shouldn’t of course, Mussolini was terrible!). Good story, though I thought the dialogue (and story) slowed down to a crawl in spots. It’s an unusually longer story for Hemingway. Once we finally get to the fight though, just wow! Hemingway was an amateur boxer himself and saw (and refereed) plenty of fights. He really makes it exciting and for a change it doesn’t end it tragedy. While it’s unusual (a guy bets against himself to make a lot of money) he may even still have a boxing career afterwards. Excellent descriptions and good characters. We are left to wonder if the fight was really fixed, though I vote that it was. Very good, while this is a very short story it gives you plenty to think about. Of course there is homosexuality in the military (and always has been, just much more covered up). The interesting part is what this means for Hemingway. I think this is evidence that Hemingway was gay and his used all his womanizing and hyper-masculine activities to both cover it up and suppress it inside. It may also explain why he often makes his female characters very 1-dimensional and has men be very mean to them. It may be because Hemingway was always miserable with girlfriends and wives and just never had the courage to come out as a gay man. This is an odd story. I like the parts with Nick but there is such terrible racism towards Native people that it’s hard to listen (or if you bought the book, read) it. I like when Nick get’s home and he has a nice chat with his Dad about women, about a native woman Nick likes in particular. It’s ultimately about heartbreak and the loss of innocence but the ending is fitting. Didn’t like this one, it’s just really dull. It’s about an American woman on a train with a canary. She talks about how only American men are worth marrying and how she made her daughter miserable by forcing her to leave a foreign man, a poor way to end the collection. Whew! That was a really long review. For volume 3 I won’t be nearly so detailed. Again I find I only like just over half the stories (7 of 11). So I can only give this a mild recommendation. 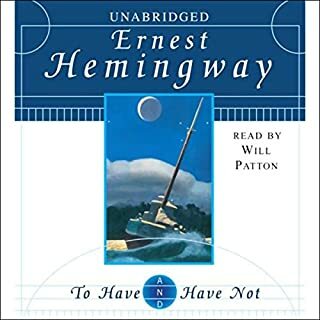 If you’re a Hemingway fan, certainly give it a listen but it’s not a great place to start. I’m hoping volume 3 is the best of the lot. Due to language, violence, some sexual situations and a lot of racist language I would say ages 17+. Someone who listens to this need to not use words like squaw, wop and the N word. Such quality narration for such quality literature. Highly recommend this short story collection. It takes the mind on a journey. Start Keach's narration is masterful which is fitting for a masterful writer! Listening to these beautiful stories was like watching movies while I'm driving. Great stories. Narration is outstandingly excellent. Truly a great performance. Old favorite stories brought to life. Overall, this was definitely credit worthy. Hemingway's stories were very descriptive and thought provoking. Stacy keech's performance here was outstanding. Boring or annoying narration really irks me. But this was fantastic. I would recommended this to anyone who likes Hemingway or wants an introduction into his work. Very good. 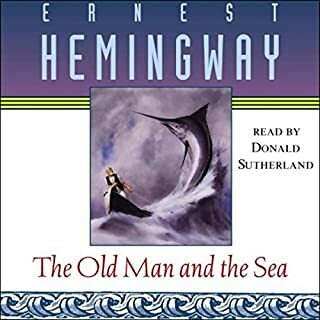 This was probably not the best book to make my first dive into Ernest Hemingway, but I got it on discount at Audible. The famously terse writing was certainly distinctive and I was struck by the every-day-ness of the subject matter. Detailed descriptions of trout fishing or horse races were certainly a far cry from my usual science fiction reading. Generally, the stories were very masculine, and seemed stuck in time, a Humphrey Bogart time when men talked like gangsters and lived off the land or went to war. The real revelation for me was the fantastic performance by Stacey Keach. He gave each character a subtle accent where many lesser actors would go over-the-top.